Microsoft published a blog post on Monday revealing that Japan Airlines (JAL) created two proof-of-concept programs using the HoloLens headset. One program is dedicated to flight crew trainees seeking a co-pilot position, and one program is designed for engine mechanics needing supplemental training. 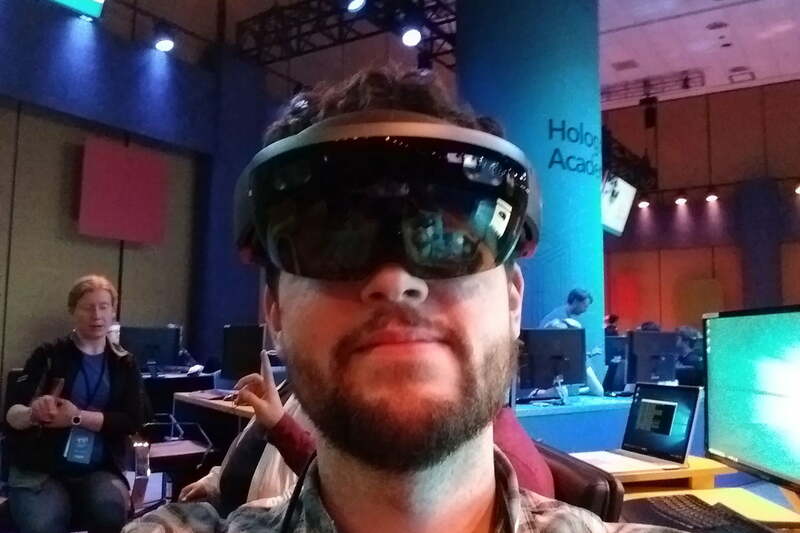 Essentially, HoloLens eliminates the need for old-school videos and printouts of cockpit panel instruments and switches. “We believe that HoloLens can contribute to the safety of our business, which is the most important criteria for airlines,” says Koji Hayamizu, senior director of the planning group for JAL’s Products & Service Administration Department. As a quick refresher, HoloLens is Microsoft’s augmented reality headset that thrusts holograms into the user’s view of the real world. It relies on Windows 10 and is completely untethered, meaning unlike current VR headsets on the market, users aren’t leashed to a desktop PC. Unfortunately, Microsoft is rather tight-lipped when it comes to the device’s public release, simply indicating it will be ready when the world is ready. However, developers are currently banging out compatible applications, and the headset is already in use by a number of companies, such as JAL and Studio 216. Microsoft shipped its first HoloLens Development Edition headset back in March. Costing a meaty $3,000 per kit, the company is currently in “Wave 5.” Essentially, Microsoft is accepting applications to purchase the kit. However, there’s an approval process, and if a developer gets the green light, Microsoft will send that developer an invitation to purchase the kit when it becomes available. Microsoft is rolling out the hardware in groups, aka waves. By using HoloLens, engine mechanics can now throw out the paper references and instead place their hands on virtual engines and parts. Even more, scheduled tasks are eliminated, including the need to set aside a window of time to manually remove an engine’s cover to get to the meaty hardware lurking underneath. The holographic version looks real, Hayamizu told Microsoft, and can be accessed at any time of the day and from any location around the world. As for flight crew trainees, they’ll have a detailed hologram of a cockpit instead of wooden panels plastered with photos of switches and instruments, allowing them to operate the virtual switches as they’re guided by a voice speaking through HoloLens. Eventually, the Hololens could simulate an entire airplane inside a classroom. The HoloLens headset will provide advanced training, thus leading to “fresh and impressive services” that will differentiate the company from the rest of the full-service carrier crowd in the eyes of travelers. The company believes that its partnership with Microsoft will give it an edge in the competitive market. “That is why we believe it is essential to challenge (ourselves) to ‘transform’ our business in every situation,” he told Microsoft. Hayamizu added that JAL’s HoloLens training prototypes have already generated a lot of positive feedback from flight crews and mechanics.